In a challenging economic climate, privatisation in South African rugby has been touted as a possible means to add much-needed financial stability and professionalism to the game, writes CRAIG LEWIS. At the end of 2016, SA Rugby announced a sequence of ‘ground-breaking’ decisions aimed at improving the state of the game. One of these was to allow for private equity partners to take 74% ownership of shareholdings in the commercial arms of unions, rising from the previous 49.9% limit. In allowing for this majority stake, it was a purported move towards improved professionalism, privatisation and financial sustainability. In effect, the constitutional changes opened the door further for independent investors with business acumen to acquire considerable control over unions facing an increasingly tumultuous economic climate. The carrot was dangled, and towards the end of 2018, a reported R45-million buyout deal was concluded to see the Kings effectively become South Africa’s first privately-owned franchise. A consortium – made up of local businessmen Rory Stear, Loyiso Dotwana, Gary Markson, Kenny Govender and Vuyo Zitumane – took 74% ownership of the Kings franchise, with the EPRU holding a 26% share. It was a deal also made possible by the agreement from Isuzu Motors South Africa to come on board as the team’s title sponsor for three years. For a Kings franchise that has faced a series of debilitating setbacks since going in and out of Super Rugby, they are now in a position of rare stability. Understandably, the Kings deal has also added to the ever-increasing debate over whether privatisation is the future for a South African rugby system that has been accused of falling victim to an outdated amateur-influenced model. To explore this subject further, SA Rugby magazine caught up with Stear, who has played a considerable role in the successful Kings takeover. 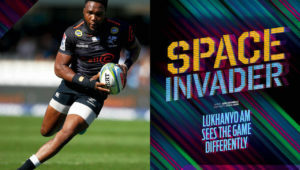 ‘We [the consortium] believed it was an absolute tragedy not to have a highly competitive rugby team in Port Elizabeth given the oft-quoted principle that it is the home of black rugby. You can look through the South African franchises, and there are numerous players who come from this part of the country, and we’ve always wondered just how good the Kings could be if we were able to retain these players,’ he explains. Indeed, there has been a concern in South African rugby for some time over the disconnect between the amateur and professional arms. Many believe it is a broken structure plagued by distrust and political agendas. With as many as 14 professional unions – each wielding equal voting power – revenue has also had to be widely dispersed, while there has been almost unanimous agreement that the pool of professional players is too big. The question that’s becoming increasingly prevalent is whether privatisation is the solution to wresting back control to prevent the (amateur) tail from continuing to wag the (professional) dog. ‘I think this is the direction it’s going,’ Stear says. ‘One thing is clear: financially the game is in terrible trouble, the product is in trouble, and we have to think about how we can make it an exciting product to retain the interest of the fan base. It’s believed there are plans for the Kings to revive a local rugby academy, while at the end of February they were on the verge of appointing a high-performance director and new chief operating officer. It does raise the point over whether the next step will be for SA Rugby to allow for 100% private ownership. It’s a model seen in the successful Top 14 competition, where cash-flush owners have taken control of top French clubs and recruited an array of world-class players from around the world. Throughout South African rugby, unions are facing ever-increasing financial challenges, particularly when it comes to formulating a budget to retain and recruit players. The Western Province Rugby Football Union’s monetary issues have been well documented after accepting several multi-million rand loans from investment giant Remgro amid a financial crisis that ultimately saw WP’s professional arm liquidated. The concept of reducing the South African rugby player pool came sharply into focus towards the end of last year, with Alexander confirming that plans were under way to reduce the number of professionals to below 500. It could also lead to uncontracted players being placed in a draft system, whereby they could still earn a match fee if picked up by other teams. Businessman Stephen Saad, who also serves as the Sharks’ chairman, agrees that there are too many professional players on the books, which has led to the dilution of resources. However, he is not sure that privatisation is an all-encompassing answer in the current local rugby climate. Yet he emphasised that there needs to be a clear demarcation between what constitutes professional and amateur unions. Last November, the Lions confirmed that they would be offering severance packages to an undisclosed number of their contracted players as per the directives aimed at reducing the professional player pool. Altmann Allers, the Lions chairman and majority shareholder, says it’s essential for rugby to be run as a business to ensure that sustainability and succession planning can take effect. 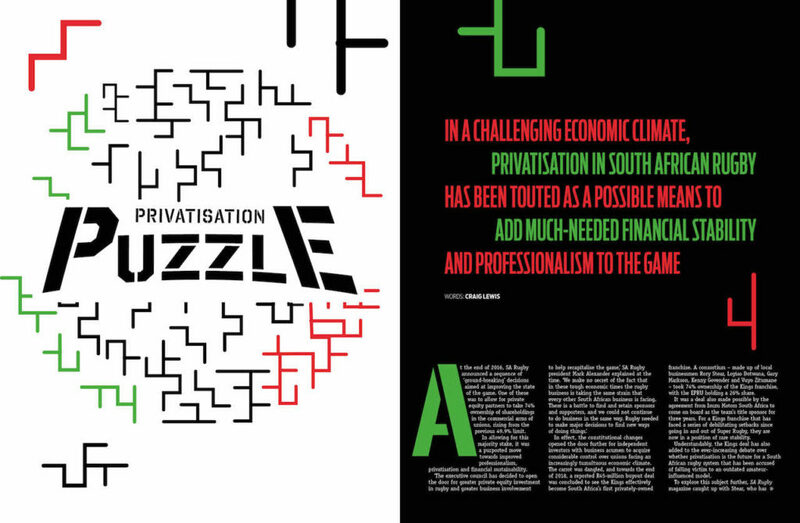 The concept of privatisation and third-party deals to boost the coffers in tough economic times is not new or unique to South African rugby. It’s a talking point that has even made its way into New Zealand rugby, where they are struggling to compete with overseas salary offers to some of their sought-after All Blacks. Increasingly, private funding appears to be the global way. England’s Premiership Rugby recently sold a 27% share to former Formula One owners CVC Capital Partners, while the Top 14 and Japanese Top League are privately owned. It’s expected that the Pro14 could be next to sell off a significant stake. All in all, what’s abundantly apparent is that the industry is changing, and South African rugby literally cannot afford to be left behind. 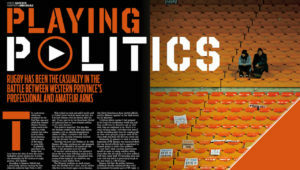 – This feature first appeared in the March 2019 issue of SA Rugby magazine. 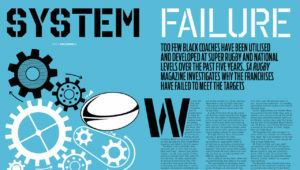 Where are SA rugby’s black coaches?